Nu:Move are proud to present TWO FIFTY ONE, a stunning collection of brand new apartments within the trendy and upmarket area of the southbank. The development consists of 335 stunning 1, 2 and 3 bedroom apartments boasting city skyline views, very close to the River Thames. Apartments are available from £699,000. This is a fantastic investment opportunity as residents are just 5 minutes walk from the city of London, with the Jubilee line closeby and Waterloo and London Bridge Railway stations both 10 mintues walk away allowing easy access to the whole city. Southwark boasts a fantastic food scene, close to Borough Market, and with many pop up restaurants and local restaurants minutes away. 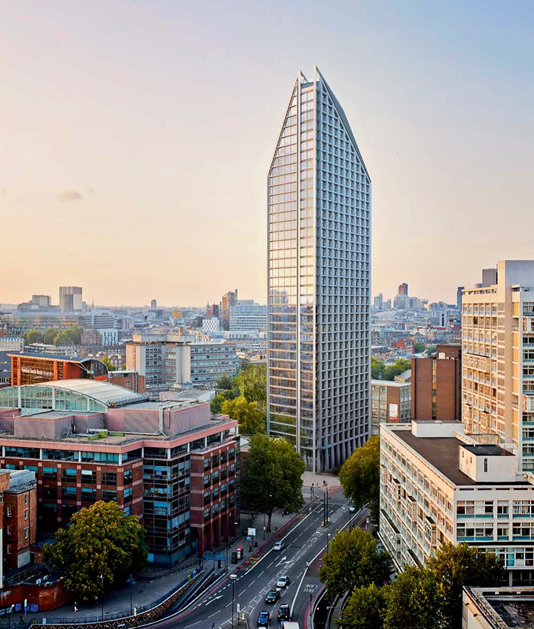 With its bold parallelogram form, its crisp and white reconstituted stone cladding, and a distinctive veiled triangular apex, TWO FIFTY ONE will be a striking new addition to the central London skyline. TWO FIFTY ONE Southwark Bridge Road is an elegant 41-storey residential tower within zone 1 of Central London, between Vauxhall Bridge and Tower Bridge in Southwark, within the Elephant & Castle regeneration area.